Every effort was created to keep the web site ready to go smoothly. 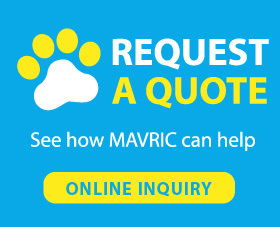 However, Mvaric can not be responsible for, the website being temporarily unavailable because of to specialized issues beyond our control. The content of the pages of this web site is for your present information and only use. It is at the mercy of change with no warning. Neither we nor any third parties provide any guarantee or guarantee regarding the precision, reliability, availability, timeliness, performance, completeness or suitability of the info and materials found or offered on this web site for any particular purpose. You recognize that such information and materials may contain inaccuracies or errors and we expressly exclude liability for just about any such inaccuracies or mistakes to the fullest extent permitted for legal reasons. Your use of any information or materials upon this website is entirely at the own risk, that we will not be liable. It will be your own responsibility to ensure that any products, services or information available through this web site meet your unique requirements. You hereby indemnify, defend, and keep us and our affiliates and our officers, directors, owners, agents, information providers, affiliate marketers, licensors and licensees safe from and against every liabilities and costs incurred regarding the any claim arising out of any breach by you of the agreement or claims due to your use of our site. You shall cooperate around in the defense of any declare. We reserve the right, at our very own expense, to suppose the exclusive protection and control of any matter or else subject to indemnification by you. This website contains material which is owned by or licensed to us. This materials includes, but is not limited by, the design, design, look, appearance and images. Reproduction is prohibited apart from relative to the copyright notice, which forms part of the conditions and conditions. Unauthorized use of this web site can provide rise to a state for problems and/or be considered a criminal offense. From time to time this website could also include links to other internet sites. These links are given for your convenience to provide more info. They don't signify that people endorse the web site(s). We've no responsibility for this content of the connected web site(s).